Sustainable Building | IBU - Institut Bauen und Umwelt e.V. The term sustainability has been further developed in the building and real estate industry. In addition to the three pillars of ecology, economics, and the social responsibility, the aspects of technical and process quality, as well as location characteristics, have been given special meaning. Taking the life cycle into consideration is also fundamental, since sustainable building means optimising the use of raw materials and energy in all phases of the building’s life cycle. In all phases, from planning, to both the establishment and the use of the building, as well as to the demolition, this means using resources efficiently and impacting the environment as little as possible. Increasingly, buildings are being assessed with respect to their ecological, economic, and social aspects. Different building certification systems are thereby used. These describe and evaluate the quality of sustainability on the basis of standardised criteria. Protected resources and protection goals as defined in ISO 15392 serve as the basis for the development of evaluation criteria. In the area of sustainable building for instance, natural resources (ecology), capital (economics), and health (socio-cultural) will be considered protected resources. The protection goals formulated designate, among other things, the preservation of natural resources, the minimising of life cycle costs, as well as the maintenance of health and safety. The technical quality that influences all areas of sustainability is also considered a protected resource. For example, fire, noise and thermal protection, and the maintenance, as well as the demolition, of a building, are therefore also included. Likewise, the process quality, from the planning phase through the building’s construction to the planning of the operation, plays an important role in the areas of protection goals and sustainability. The quality of the location affects all sustainable building goals. Sustainable building means taking a holistic view of each building and analysing every detail – each individual building product. Depending upon the type, use, or location of the building, different requirements exist for the building products to be used. Each individual component affects the environmental quality of the entire building. Therefore, the environmental effects of individual building products can only be judged within the context of the entire building – for example, exactly what is contained in each individual product, the resources and energy that are required for each of them, and what emissions are released during production, transport, use, and from demolition. Type III Environmental Product Declarations (EPDs) document the environmentally relevant characteristics of building products and deliver the basic information needed for evaluation of the environmental building quality. This is essential for a holistic view, as well as for evaluation of the building’s sustainability. Increasingly, the development of building certification systems such as DGNB, BNB, LEED or BREEAM is causing real estate investors and builders to consider environmental aspects in their product selections. Because of this, EPDs are gaining in importance, as they provide a scientifically grounded data basis for evaluating buildings in the areas of ecological and technical quality, as well as providing information on the environmental and health compatibility of building products. EPDs are internationally recognised building evaluation instruments. The German Institute for Standardization (DIN) is responsible for German standardisation within European (CEN) and international standardisation (ISO) processes. Sustainable building is fundamentally set forth at the global level in the standard ISO 15392, and is handled by the subcommittee ISO/TC 59/SC 17, which is responsible for the entire ‘Sustainable Building’ standardisation project. On this basis, further standards and standardisation efforts on sustainability indicators, environmental declarations for building products for the evaluation of the effects of buildings on the environment, and bases for the sustainability evaluation of engineering structures have been set forth in ISO/TC 59/SC17. The building evaluations, as well as product declarations, in the form of EPDs, are regulated only for the environmental pillar of sustainability. Up until now, the social and economic aspects have been merely treated as ‘general principles’ (EN: General Principles) in ISO 15392. In Europe, EPDs have gained significance in the context of the ‘sustainable building’ standardisation work of CEN/TC 350. These contain relevant information about individual products, which is used in the evaluation of the environmental sustainability of buildings. Along with the three essential dimensions of ecology, economics, and socio-cultural, technical and functional building qualities are also taken into consideration in the building evaluation. In Agenda 21, industrial nations are challenged to substantially lower their resource consumption. The building industry offers enormous potential for this, since in this area, resources and energy requirements, as well as greenhouse gas emissions and waste generation, are particularly high. Many players in the construction industry are taking on this responsibility and working toward sustainability in construction. The central result of European standardisation work in the building industry is that the evaluation of environmental building quality should be based on the results of a life cycle assessment. EPDs for the individual building products and their life cycle assessments provide the data upon which this is based. The BNB and DGNB certification systems are also tied to it. EPD programmes – whether in Germany, Europe or worldwide – are based on the ISO 14025 international standard. It applies to all industries, but the pioneer of its application was the construction industry. Therefore, more concrete rules for the creation of EPDs, which even exceed the ISO standards, were created by the European Committee for Standardisation – more specifically, in the CEN/TC 350. Thus, the European DIN EN 15804 standard, applicable to all building products and building services, came into effect in April 2012. It provides fundamental product category rules (PCRs) for the declaration of building products and building services of all kinds, and paves the way for EPDs that will be valid throughout Europe. In accordance with the standards of EN 15804, European programme operators – most notably, the IBU – have furthered a corresponding harmonisation of EPDs to the European level. 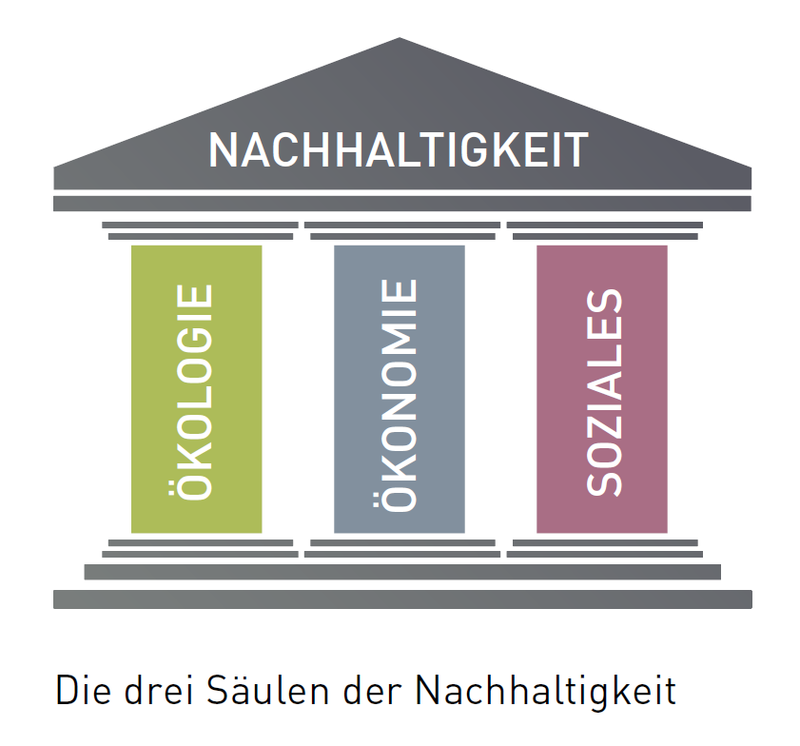 In 2002, the German Federal Government adopted the national sustainability strategy ‘Perspectives for Germany’. It contains political guidelines for sustainable development and lists 21 indicators for the tracking of goals and progress. The action programme is constantly being updated and involves, among other things, the alignment of federal buildings with the requirements of the sustainable building evaluation system (BNB). In federal buildings, sustainability is to be transparent, measurable, and verifiable over the entire life cycle, including ecological, economic, and social aspects. Urban planning, creative, technical, and functional aspects should also be taken into consideration. The evaluation is conducted on the basis of recognised scientific methods, such as life cycle assessments and life cycle cost calculations. In addition to the German Federal Government’s BNB program, the German Sustainable Building Council (DGNB) has been operating a certification system for private buildings since 2007, which also applies LCA at the building level and uses EPD as a data basis.